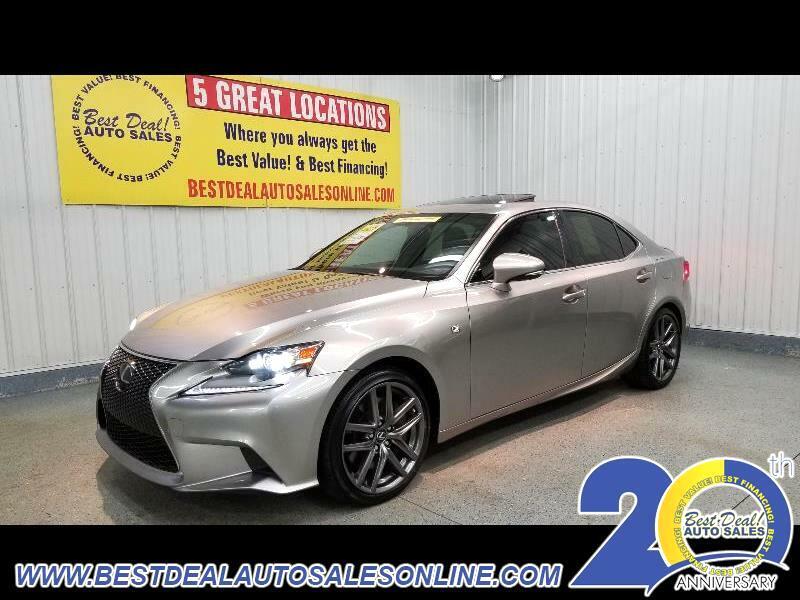 ***ONE OWNER*** 2015 Lexus IS 350 F-Sport!! AWD! Sport-Tuned Suspension! Navigation, heated/cooled leather, rearview camera, heated steering wheel, Mark Levinson premium audio, sunroof, push button start and 18" alloys!! Stop in today or give us a call @ 260-357-0099. Family owned and operated since 1999 and still going strong!! Message: Thought you might be interested in this 2015 Lexus IS 350.